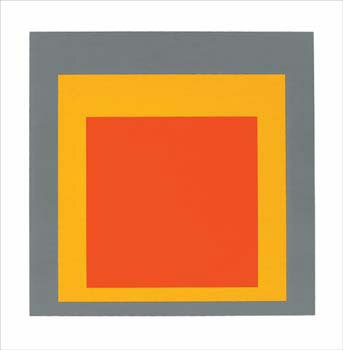 Josef Albers seems to be having a moment. 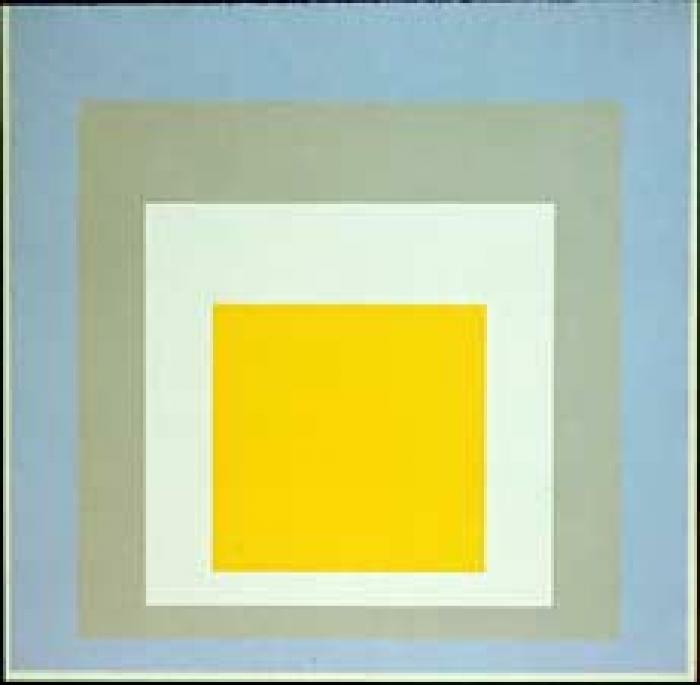 I am seeing his lovely squares all over the place, and I think they would make a great quilt pattern. So easy! So colorful! Before I left New York, I stocked up on some Kona cotton in primary hues with this quilt in mind. A quilt like this would be perfect for snuggling up in a hammock in the late fall when it gets chilly (it really does get chilly in north Florida!). I still need to get the hammock, but we do have the trees, so that’s a start. Or for picnics on the beach? Or a quilt for our guest room? And which colors? They are all so appealing, but I really like the orange and gray. What about you? Quilt for the guest room, of course! But maybe I’m being selfish b/c I’m imagining myself as the guest. I prefer the gray and orange, too. The last one looks like a fried egg, which would make me hungry. They remind me of those drop-dead gorgeous Amish quilts–but cleverly off-center in a giant, abstract Denyse Schmidt way. Funny, I was just thinking the last one looked like a fried egg before I read your comment… I do love that blue one, too. Maybe one for the “hammock” and one for the guest room! Love his work but wasn’t familiar with the artist! Love your blog, just discovered it from Facebook. I’m just learning to sew and am working on a few projects now. I have a craft blog of my own at alittledabble.blogspot.com though I haven’t posted my recent projects. Thanks for reading my blog! I’ll check yours out soon. Sewing is so much fun; I’ll look forward to seeing what you are working on.